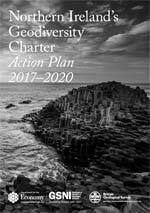 This year, the Geological Survey of Northern Ireland (GSNI) will be celebrating 70 years of public service. GSNI has a long history of mapping, modelling and monitoring, all of which underpins decision making to promote economic development and generate baseline data for environmental management. During the course of the year, we’re planning a series of events to showcase the work of GSNI including a book launch, a ‘70 years’ symposium, education events, a new website, and a Seismic Stomp. To keep up to date with what’s happening throughout the year then follow GSNI on Twitter @GeoSurveyNI or on Facebook. The audience will hear dual presentations from GSNI scientists together with their research partners from the public, private and NGO sectors in the UK and Ireland on geoscience research and innovation which benefits the economy, infrastructure, environment, tourism, health and education. Talk sessions are punctuated with video montages, panel discussions, photographic display and map viewing, interactive exhibits and awards. View the full programme. This symposium will interest delegates from government organisations, councils, industry, universities and NGOs across the geoscience sector on the island of Ireland. Register now. An art exhibition and drinks reception will follow the symposium at 16:30. In association with the Geological Society, we are hosting the annual geoconservation gathering at the Ulster Museum to celebrate the many good examples of conservation of Earth science in Northern Ireland. Explore the many kilometres of rock core and chippings that we hold in our core store and see how these can be used to unravel the geological history of Northern Ireland’s subsurface. Thursday 22nd June — Launch of our new Geology Walks Guide at the Newcastle Community Cinema as part of the Mourne International Walking. The launch will be followed by a guided walk on part of the Sieve Donard Walk and will include the Granite Trail. The first geologists walked in to the Geological Survey of Northern Ireland our office on College Gardens, Belfast on 21st April 1947. Join us for a birthday celebration and help to raise some money for our chosen charity. A day of Earth Science workshops held at Parliament Buildings for primary schools. This event is run in association with partners including the Causeway Coast and Glens Heritage Trust, Belfast Hills Partnership, Ring of Gullion Landscape Partnership, Sperrins Gateway Landscape Partnership, Mourne Heritage Trust and the Marble Arch Caves UNESCO Global Geopark. Join us for a day of interactive Earth science with our giant floor map to discover the wonderfully diverse geology of Northern Ireland.